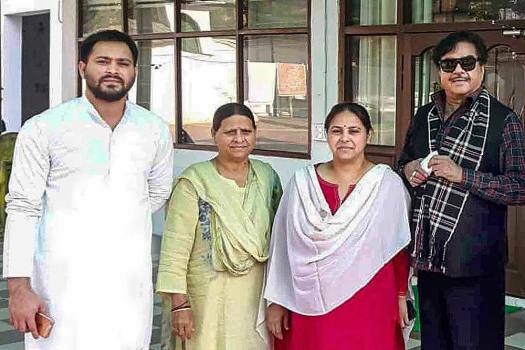 BJP MP Shatrughan Sinha with RJD senior leader Rabri Devi, Tejashwi Yadav and MP Misa Bharti in Patna. 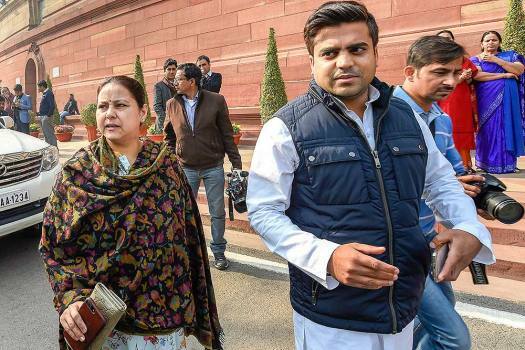 RJD MP Misa Bharti with and Samajwadi Party MP Tej Pratap Singh Yadav during the Winter Session of Parliament, in New Delhi. RJD MP Misa Bharti during the Winter Session of Parliament, in New Delhi. 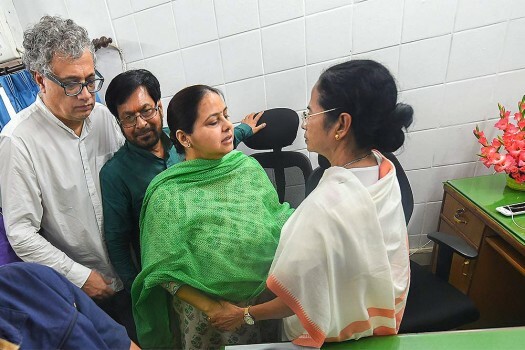 West Bengal Chief Minister Mamata Banerjee and Rashtriya Janata Dal (RJD) MP Misa Bharti at party office, at Parliament House, in New Delhi. 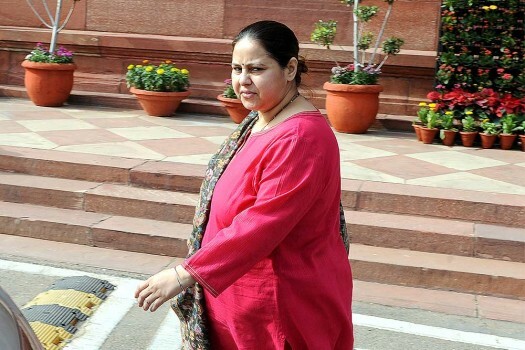 RJD MP Misa Bharti at Parliament on the first day of the second phase of the budget session, in New Delhi. 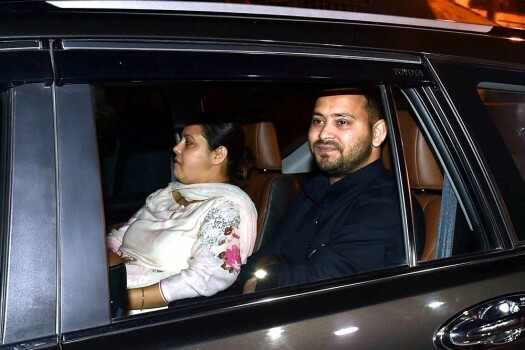 RJD chief Lalu Prasad's daughter Misa Bharti leaves the Patiala house courts after getting bail in a money laundering case, in New Delhi. 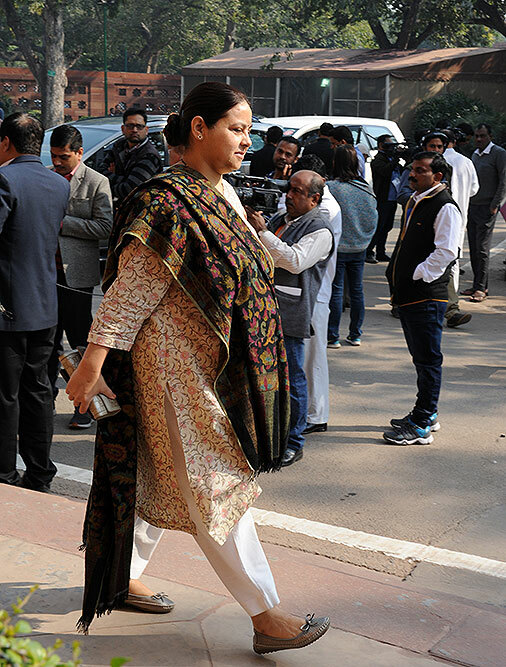 RJD MP, Misa Bharti at parliamanet on the opening day of the winter session of parliament in New Delhi. 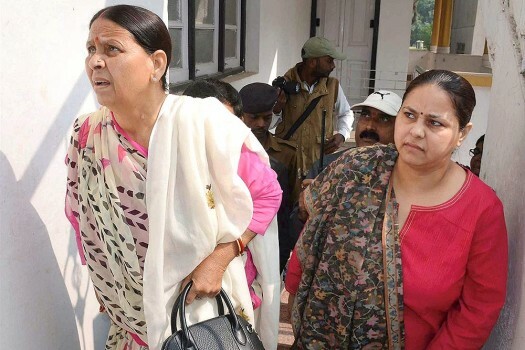 Former Bihar chief minister Rabri Devi along with her daughter and MP Misa Bharti appearing at the Enforcement Directorate (ED) office, in Patna. 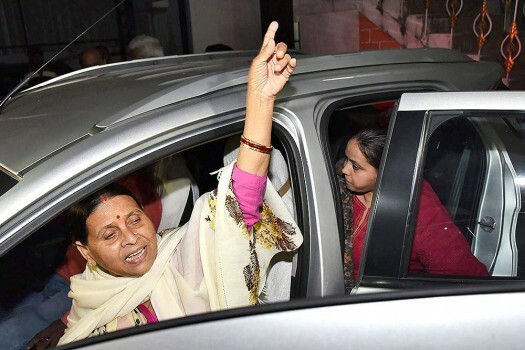 Former Bihar chief minister Rabri Devi with daughter and MP Misa Bharti leaves after appearing at the Enforcement Directorate (ED) office, in Patna. 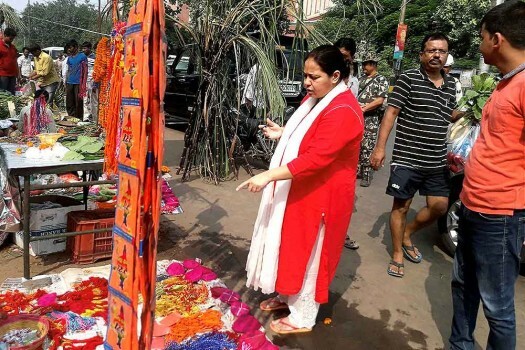 RJD chief LalU Prasad's daughter and MP Misa Bharti buying Puja items at a roadside shop on the occasion of Chhath festival in Patna. 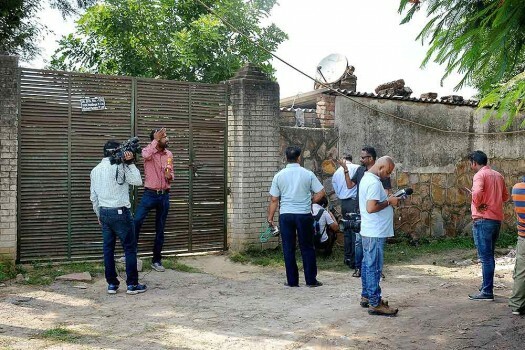 Media persons outside the Misa Bharti's farmhouse in Bijwasan, New Delhi. 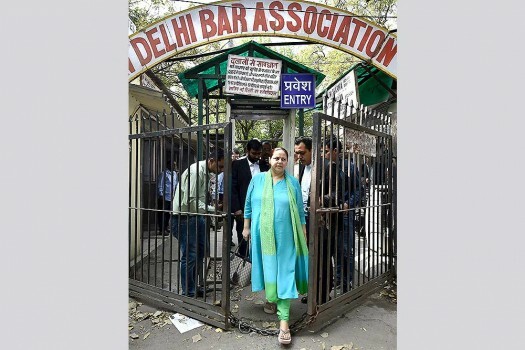 The Enforcement Directorate today attached the farmhouse owned by Misa Bharti. 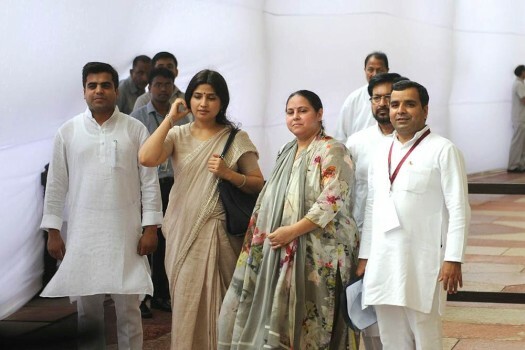 RJD Rajya Sabha MP, Misa Bharti with with Samajwadi Party MPs Dimple Yadav and Dharmendra Yadav arrives to cast vote in the Presidential Election, in New Delhi. 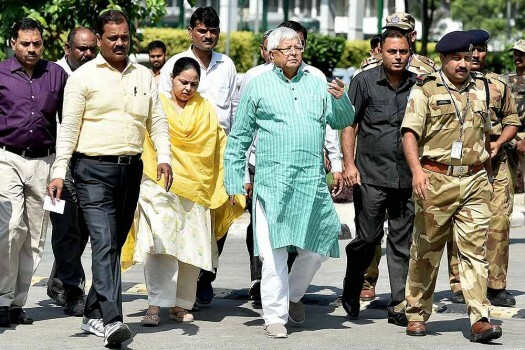 The 'mahagathbandhan' in Bihar on Friday announced the seats to be contested by each of the alliance partners -- the RJD, Congress, RLSP, HAM and VIP -- in phases three to seven of the general elections. Anant Kumar Hegde on Sunday came under severe criticism when he said that "if a Hindu girl is touched by a hand, then that hand should not exist." Ram Kripal Yadav, now a Union Minister in Modi-led government, had joined the BJP in 2014 and defeated Misa Bharti in Patliputra Lok Sabha seat in 2014 general elections. 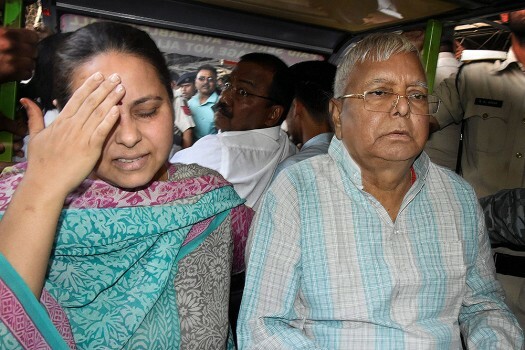 Prasad's wife and former chief minister Rabri Devi, who is RJD vice-president, also made an apparent bid at damage control as she summoned at her residence Bhai Virendra, an MLA, who said he is ready to contest from Pataliputra. During the hearing, the Enforcement Directorate (ED) opposed the bail plea of the accused, saying they indulged in a "very serious" economic offence. The agency had attached a farm house in Palam sometime back and it was now probing the alleged slush funds used to purchase this asset by the couple, they said. The farmhouse, located at 26, Palam farms in south Delhi's Bijwasan area has been attached provisionally under the Prevention of Money Laundering Act (PMLA).